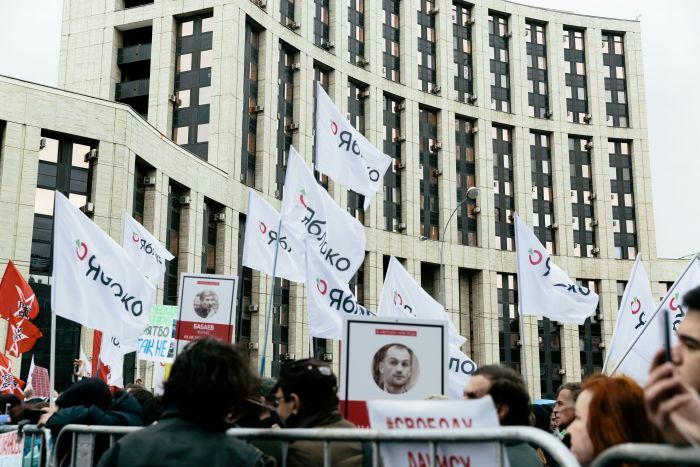 Today, Yabloko leaders and representatives of the party took part in the rally “For Free Russia Without Arbitrariness and Reprisals”, which took place on Academician Sakharov Prospekt. The party was among the organisers of the action against mass violations of the rights and freedoms of citizens. 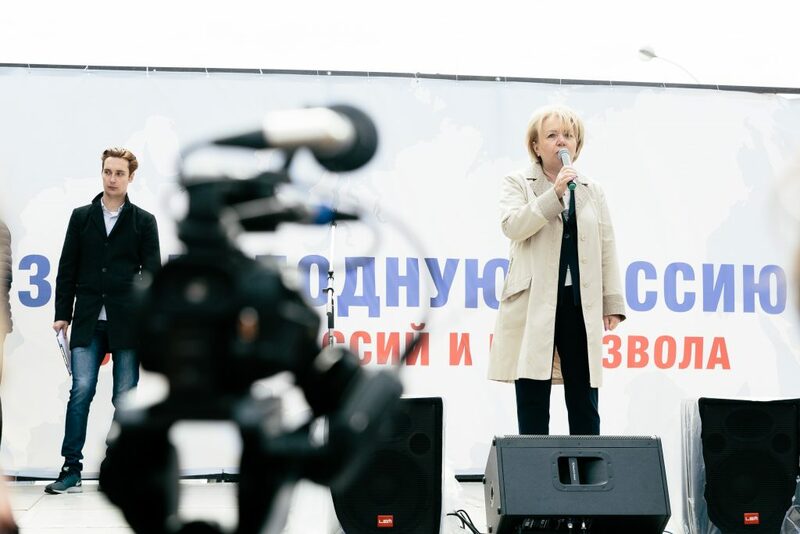 Growth of the number of political prisoners, blockings in the Internet, tyranny and torture in law enforcement, repression against political opponents of the regime, dismissals from job for likes and reposts in the social networks have become the hallmark of Putin’s government, Emilia Slabunova, Chair of the Yabloko party, said in her speech at the rally. 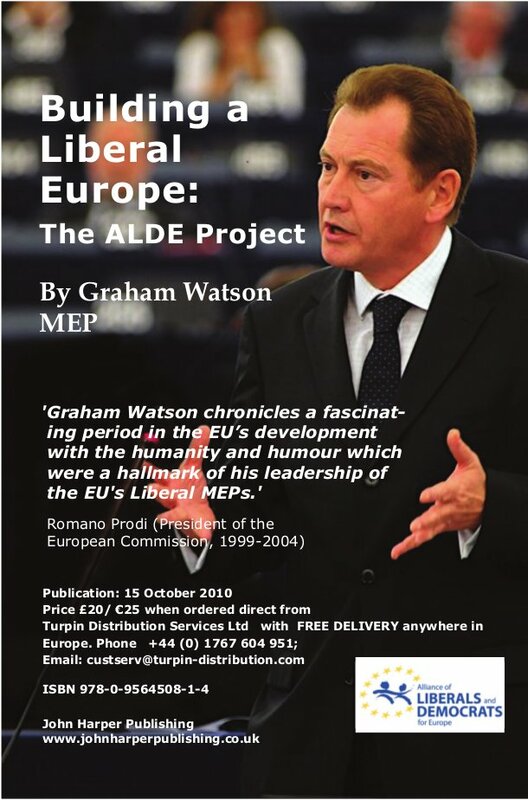 She also stressed that the revealed facts of destruction of personal data files of the victims of Stalin’s political reprisals represented “the height of shame and cynicism”. “For the second time the state decided to repress these people. What can be more shameful? “, Slabunova noted. All this takes place against the backdrop of talking about a breakthrough and expanding the boundaries of freedom. However, a new political season began and it has been characterized by such actions of the authorities. In Pskov, where the Yabloko party nominated its candidate for governors, the acting governor collected more than one thousand signatures of deputies [in favour of his nomination] in one day, which makes it extremely difficult for an oppositional candidates to overcome the municipal filter. “I am absolutely sure that the same situation will be in the Moscow Region and in the Altai Territory,” Emilia Slabunova said. This “filtered” power will never act in the interests of people, it will do everything to destroy political opponents, the number of political prisoners will continue to grow, and the political Ice Age will only toughen, Yabloko Chair noted. 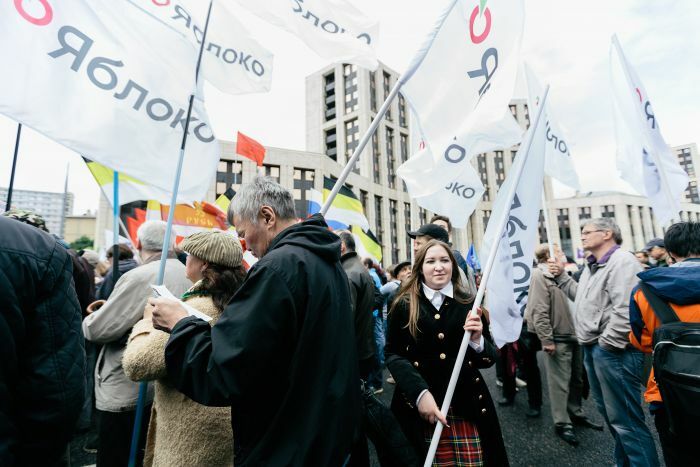 We must say a decisive “no” to such power, Slabunova concluded. 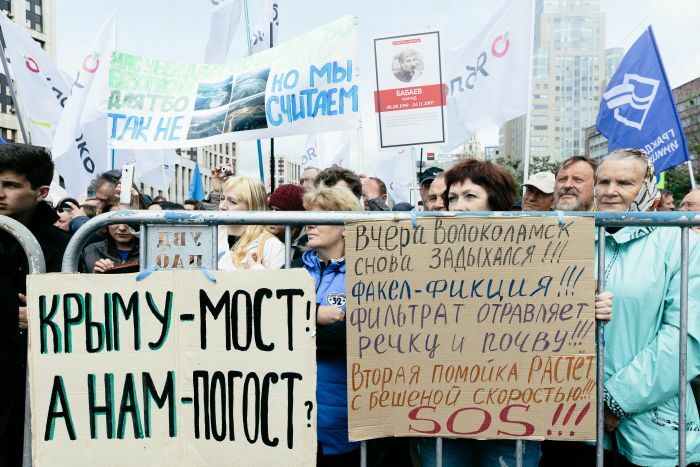 The present government has turned Russia into an aggressor really threatening the peace, said Sergei Kovalyov, ex Soviet dissident, the first Human Rights Ombudsman in Russia and member of Yabloko’s Federal Political Committee. According to Kovalyov, the annexation of Crimea and part of the territory of Georgia, the endless hybrid war in eastern Ukraine, the military presence in Syria, saber-rattling over the world and threats to the world community, the gendarme regime and a “falsely and hastily made up” image of the country surrounded by enemies – all this proves conclusively the aggression imposed on our Motherland by its overstaying ruler. The best in this situation is civil disobedience. Our duty is to follow Acad. Sakharov’s example, call on the international community to curb the aggressor, while it is still possible to do so with harsh, but peaceful means, the human rights activist said. 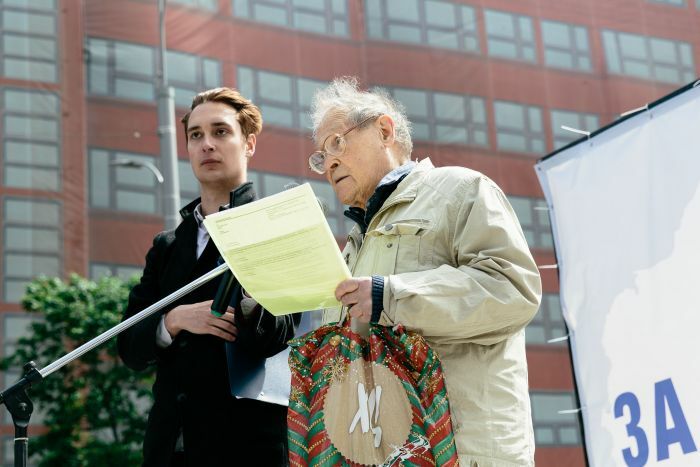 Valery Borshchyov, ex Soviet dissident, member of the Moscow Helsinki Group and member of Yabloko’s Federal Political Committee, read out a statement by human rights defenders on the need for reform of security agencies. “We believe that Russia, like any other country, needs state structures that would ensure protection of society from terrorism and extreme manifestations of extremism, but would abide by the Constitution of the Russian Federation”, Borschyov said. The existing structure of the Federal Security Service (FSB) burdened with historical continuity [from he KGB], does not fulfill these functions, so must be reformed and taken under the control of the society, human rights activists believe. 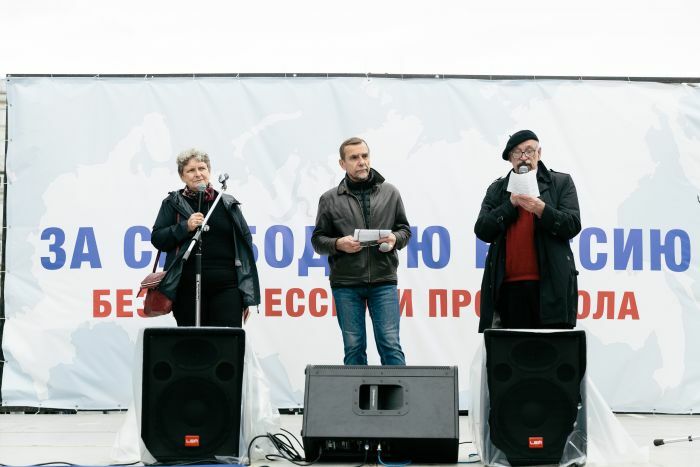 The statement was signed by renowned human rights defenders Valery Borshchyov, head of the Moscow Helsinki Group Lyudmila Alexeyeva, Sergei Kovalyov, head of the Committee “Civil Assistance” Svetlana Gannushkina, and head of the movement “For Human Rights” Lev Ponomaryov. Sergei Mitrokhin, Chairman of the Moscow branch of Yabloko, spoke about a new period in the behaviour of the authorities. 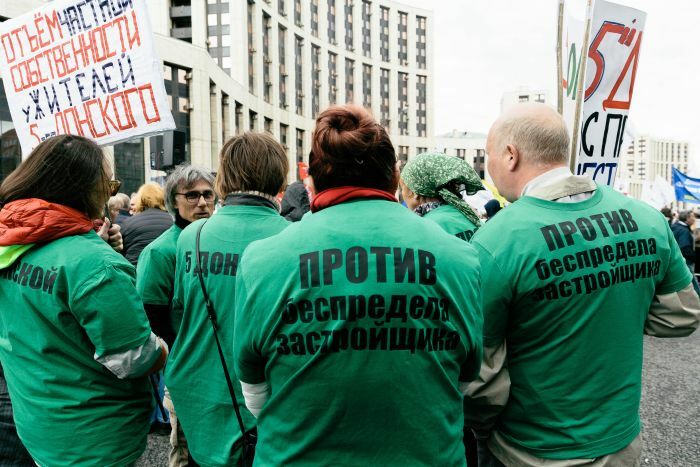 If earlier the power exploited the Russian national wealth and economized on people by means of not paying normal wages, pensions, saving on healthcare and education, now “the dictatorship is proceeding from the policies of economising on the people to the policies of its direct exploitation”. “What is the law on raising the retirement age about? Its main idea is like this: we will not pay you any more, but you will work longer [without a pension], until you die. Here is the instrument for exploitation of the people. And there are many such instruments in the arsenal of our authorities,” Sergei Mitrokhin said. 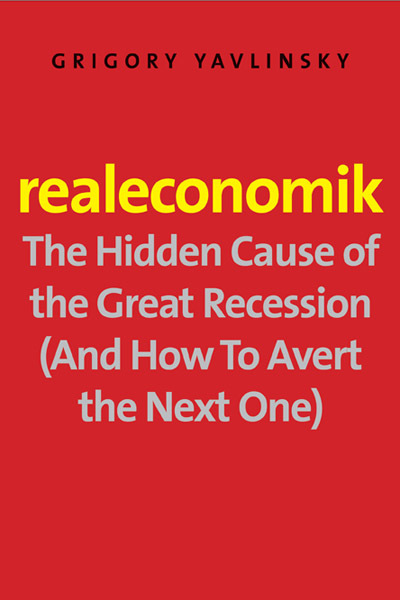 According to Mitrokhin, there is only one way out of this: to raise civil activity in people. 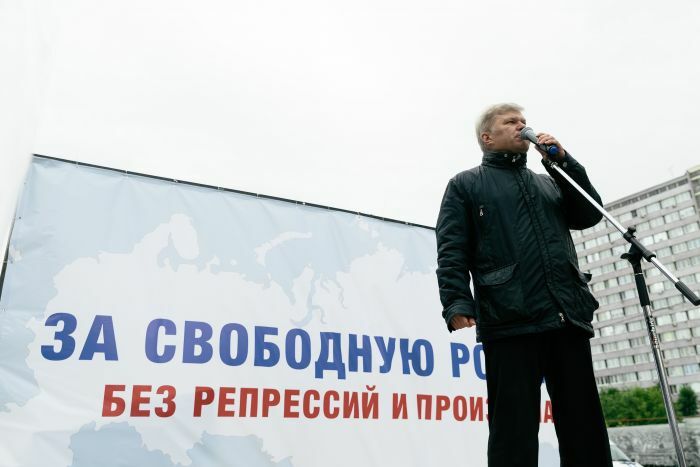 “We need to wake people, otherwise there will be neither us, nor the people, nor Russia,” Mitrokhin concluded. 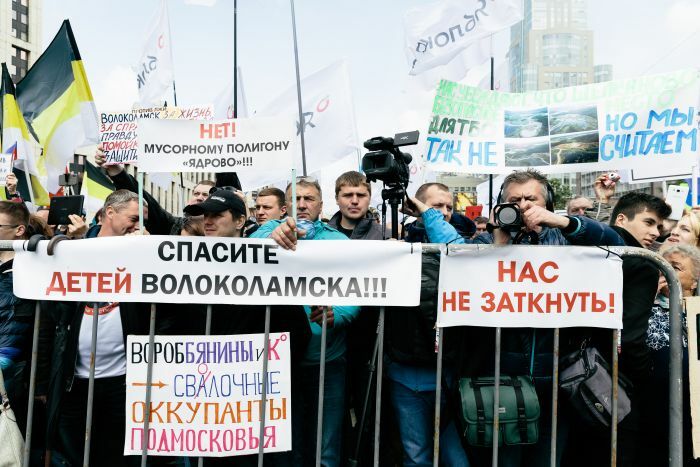 One of the main requirements of the organisers of the event was to free Ukrainian film producer Oleg Sentsov who is on hunger strike in the prison, Chechen human rights defender Oyub Titiyev and other political prisoners.